This is one of the leading players in the healthcare insurance and group benefits market in Ohio, and they invited me in for a talk on the future of healthcare. In attendance were senior executives, HR and benefits managers for major employers throughout the region. 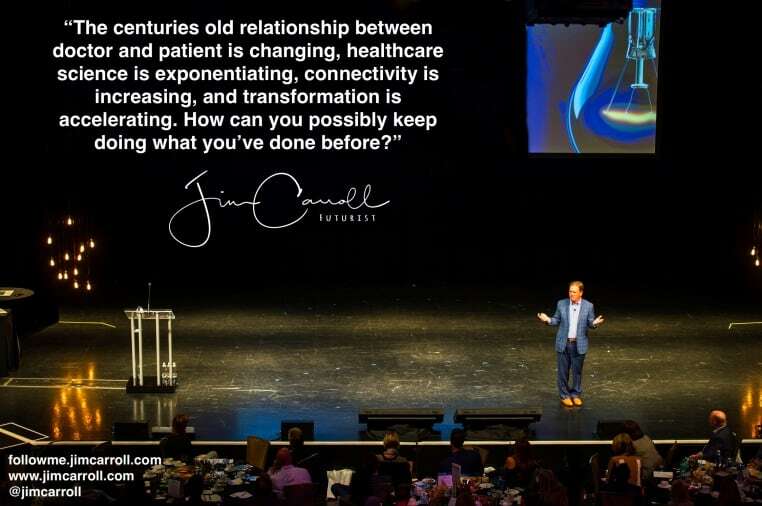 While political volatile rages, the science and technology of healthcare isn’t slow down, and I put some context on the transformative trends that can redefine our approach to some of the more complex issues of our time. Highmark is part of the Blue Cross group, and I’ve keynoted at least 15 other Blue Cross events over the last 15 years. I didn’t have a picture of the stage, but did get this great photo during my morning walk in the City of Bridges. That’s their HQ in the background!